How to draw realistic Manga style girl or woman character. Learn to draw semi-realistic Manga and Anime character from video tutorial and step by step images with instruction. In this tutorial, we are going to draw Manga character Maka from Soul Eater video tutorial and step by step process. 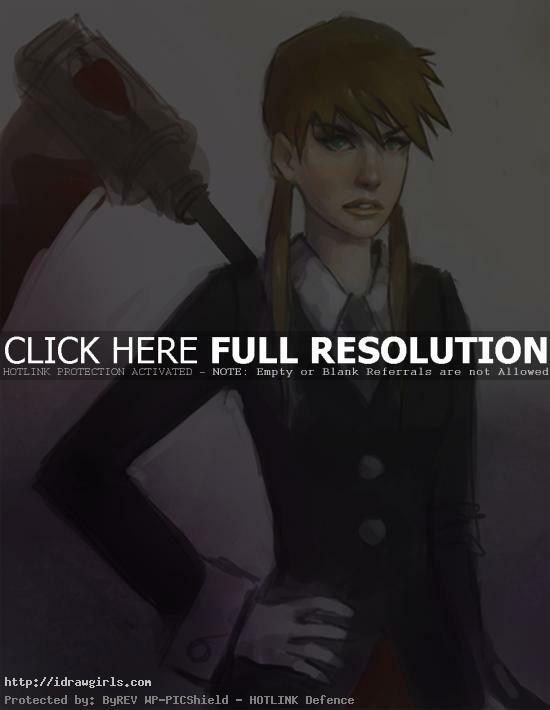 Here is another character digital art process from Soul Eater series, Maka. Again, it’s my interpretation of the character in semi-realistic style. This one I started out a bit different than then previous tutorial (Blair) How to draw Anime Character Blair from Soul Eater, I just kinda draw freely using thick line to find pose then create the silhouette instead of using line drawn in the beginning stage. Then I just use the silhouette as a main component shape to go off of to refine my color sketch. A bit about the character, Maka Albarn (マカ・アルバーン) is Soul’s meister and main female protagonist. The two make a good team, though Maka is prone to violent outbursts when Soul does something foolish. She is a dedicated student, who always scores at the top of the class, and the daughter of a Death Scythe, Spirit (now known has Death Scythe), who she has a very strained relationship with due to his excessive flirting with other women, which lead her mother to divorce him. Maka is a skilled scythe meister, able to utilize the Witch-Hunt and, later in the story, Demon-Hunt techniques with ease when resonating her soul with her partner, Soul. She is skilled in Soul Perception, which allows her to track souls and judge their strength. Here is a final drawing of a semi-realistic Manga style. Watch the video tutorial how to draw and color semi realistic Manga and Anime style. 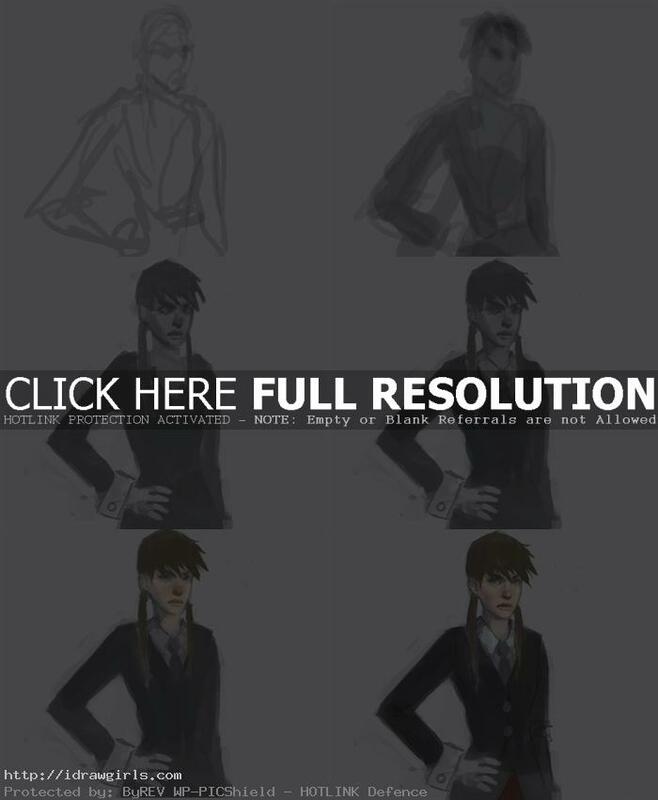 Below are step by step images how to draw and color realistic style Manga and Anime. Watch the video tutorial above for more detail in depth instruction. More Anime Manga drawing tutorials.